There are very few things as mesmerizing as listening to Gulzar recite his poetry. We sat there entranced, as he weaved magic with his vivid imagination and his play of words. It is an experience to cherish, to marvel at and to relive again and again. 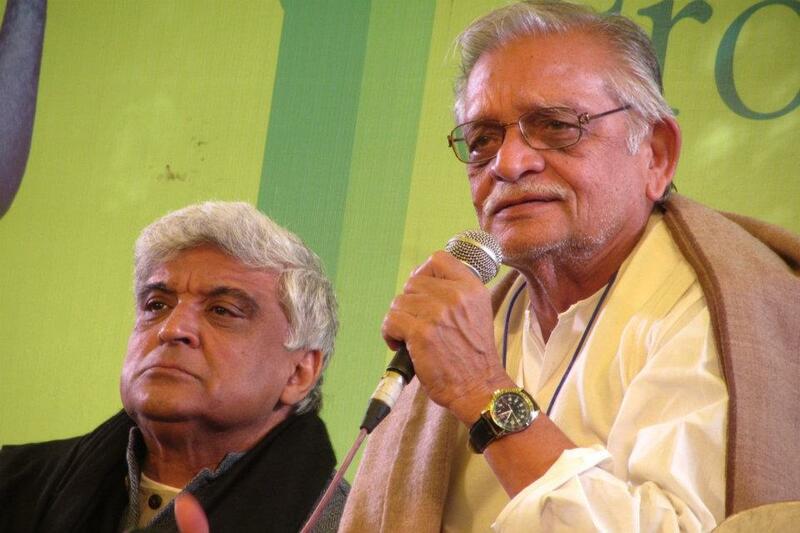 Gulzar speaks and the world listens enthralled ! On the day the Gulzar and Javed Akhtar poetry session was held it was so crowded that we couldn’t find a good place to sit even though we went really early. Not willing to sit right at the back, we sat on the dew wet grass right in front of the dais and the people sitting on chairs passed us newspapers to sit on so we wouldnt catch a cold! Javed Akhtar writes amazing poetry but frowned through most the session rarely deigning to smile at us lesser beings. He is a very powerful orator though, and once he gets going with the poetry he simply enthralls you. 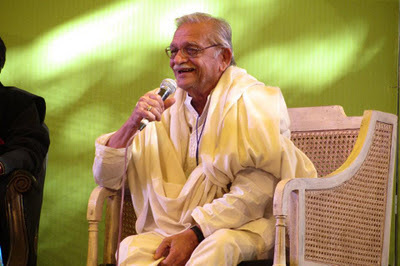 Gulzar on the other hand is so very warm hearted and friendly and soft spoken, all you want to do is sit quietly by his side and listen to him recite his poems. As a translator, I know how extremely difficult it is to translate poetry especially if it is written by Gulzar. I am sure Pawan Varma tried to do his best but at times his translation of Gulzar”s poetry left a lot to be desired! I suppose however hard one might try, some essence of Gulzar”s poetry will get lost in the translation. Vinod Mehta is nothing if witty repartee. He spoke with his trademark candor sparing no one including the stalwarts of Indian Journalism and our political leaders. If he needed publicity for his book “Lucknow Boy” he doesn’t have to worry. Almost everyone who attended his sessions is going to buy it now just to read the juicy bits in it! 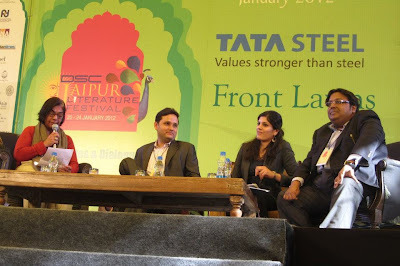 ﻿﻿ After listening to Chetan Bhagat, Amish Tripathi, Ashwin Sanghvi and the likes expound on the art of marketing a book, I distinctly got the impression that writing books is now more of a commercial venture than a literary one. Whatever happened to writing simply for the love of it? ﻿ ﻿Shashi Tharoor is God. I don’t care what his political ideology is; as far as literature is concerned he is God. And while we are at it, he is also one of the most debonair and intellectual men I have ever met. ﻿If there is someone who can combine literature, mythology with modern economics and still make enough sense to keep you hooked to your seat throughout the session, it is Gurucharan Das. ﻿ I for the life of me don’t understand why I haven't read Michael Ondaatje or Jamaica Kincaid till now. I attended two sessions where they read out from their books and I am now totally hooked. Books by them ordered and delivered thanks to flipkart ! ﻿ Honestly, the organizers should have planned the sessions better. There were sessions in the same time slots that all had fantastic speakers and I was torn between choosing which session to attend. Then there would be time slots where nothing of interest would be happening anywhere. 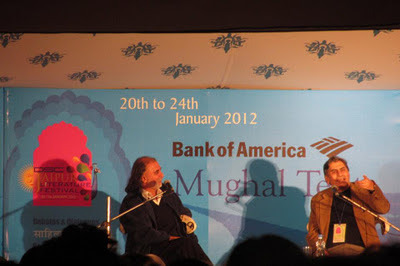 The time I had to choose between Kunal Basu, Sir Tom Stoppard and Ben Okri I almost died! Deepti Naval is so very graceful and exquisite. I have been a great fan of her since her Miss Chamko days but never knew she could write, and write well! Deepti Naval reads out from her book "The Mad Tibetan"
﻿ Inspite of reaching really early for the Oprah session, we could find no place to even stand, forget sitting. Finally we perched on a low wall and managed to get a good view of her sideways. None of were very interested in Oprah but we sort of got caught in the excitement and there was some sort of childish fun in balancing on a wall and clicking photos of her! In the end, I did find her rather interesting. Perhaps because I really didn’t go with much expectations. But she was a lot more genuine than her host who was all artificiality and syrupy sweet – enough to give one diabetes. Not a bad snap, considering it was taken balanced precariously on a railing ! ﻿I think weekdays at the festival were the most peaceful. This is when we literature lovers had the place to ourselves. Over the weekend a surge of crowd descended on Diggi palace like hoard of locusts. Most of their knowledge of literature was limited to the fact that the movie 3 idiots is based on a book by a now supposedly famous author or of reading the numerous chic lits doing the rounds these days. 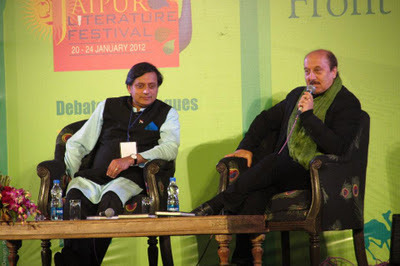 ﻿ I really don’t understand what these fashionistas were doing at a literature festival. There was this sudden onslaught of tight short dresses, red pouting lips and high heels as well as designer bags. They were as out of place in a literature festival as an old lady would be in a bar. Most of them spent all their time swooning over the aged but still admittedly quite dashing Kabir Bedi and the likes of him. I could have killed the kitty party type ladies who sat through one of the Shashi Tharoor sessions without listening to a word of what was being said.Most of them were busy gossiping, busy tweeting or on FB. And we stood there on aching feet straining our ears to catch what was being said and dying for a seat. But thanks to these self-same crowds I have now mastered the art of wriggling my way through people to find a place right in the front. I am now capable of vehemently defending a seat that I am saving for a friend and also of fighting tooth and nail to grab a seat as if my life depends on it. I have also learnt that when you need to peep over heads to see the speakers being 5 ft 9 inches is a definite advantage. Weirdest comment award goes Girish Karnad when he said "I don't think India views a playwright as a necessity .... TV and traffic killed theatre in India"
Eh ? excuse me ! Fantastic post. Loved to read every bit of it and felt part of the grand event. I wish to go there and be part of the magic atleast once in life. Thanks thanks a lot for sharing! lovely jubley .. enjoyed the little tour of the place ..
Lucky you! interesting account of the festival. And gr8 pics. Thanks for sharing! So lovely, so beautiful. I really hope I will be able to make it next year. And, I want to make it for the weekdays especially. I need peace and hear some great talks. Lovely post - enjoyed it a lot. 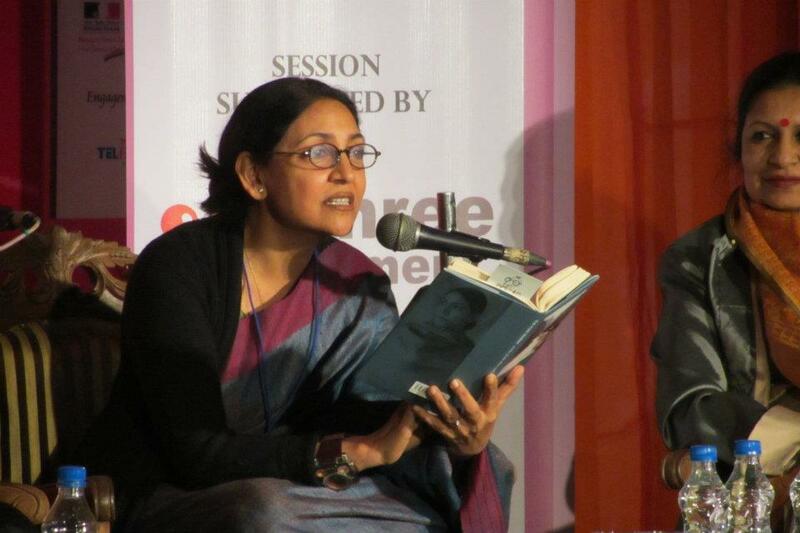 I have never been to a literature festival - I hope I get a chance some day. 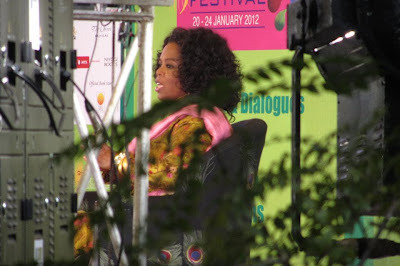 Although your pictures in FB gave a good feel about JLF, the narration part was missing. Which you've totally fulfilled here! After reading it makes me feel a little J, and I will look forward for the next year's fest to be part of it! @Life Begins: Gulzars poetry is simply fantastic. Trying listening to him read it aloud rather than just reading it at first. Hope you get to see the next JLF ! I agree,Oprah has done a lot of good work and she speaks with a lot of positivity. @Aabha Midha – Thanks ! @Aathira – Over the weekends we started feeling claustrophobic it was so crowded! @Shachi – Thank you :). This was my first major literature meet.. and I really enjoyed it. Hope you can make it to the next JLF ! @Vaish – Don’t feel J .. come over next time and well go together ! 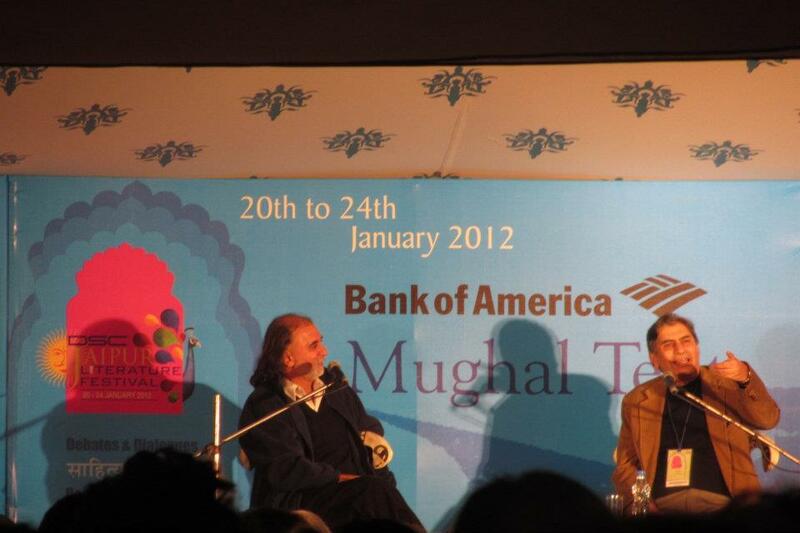 I feel so jealous... With all the details of JLF and the speakers I so wish I was there too. Surprisingly it was sad that the news channels only covered Rushdie session which didn't happen and all the other sessions were ignored; I wish they would have covered them too. @Prats ... 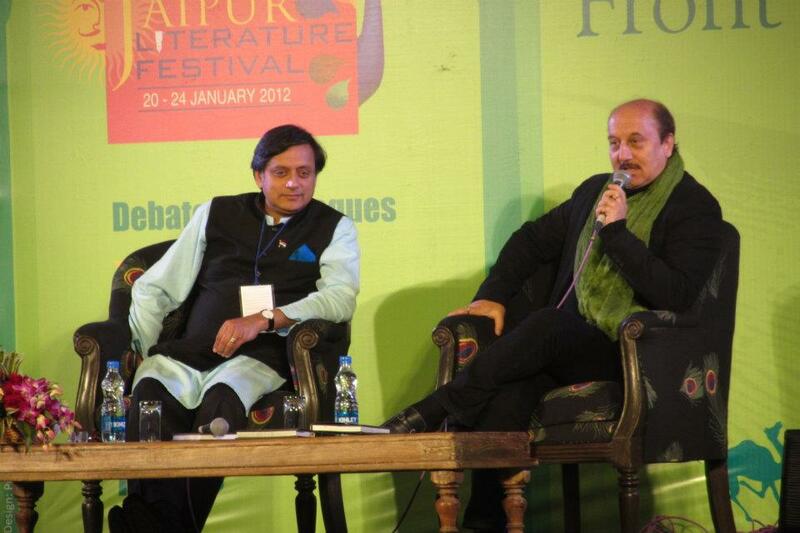 Yes, Rushdie got even more publicity by not being there ! Music and poetry is one of the essence of our living. And when it is about famous artists like Javed Aktar and Gulzar we just go spell bound by their recites. 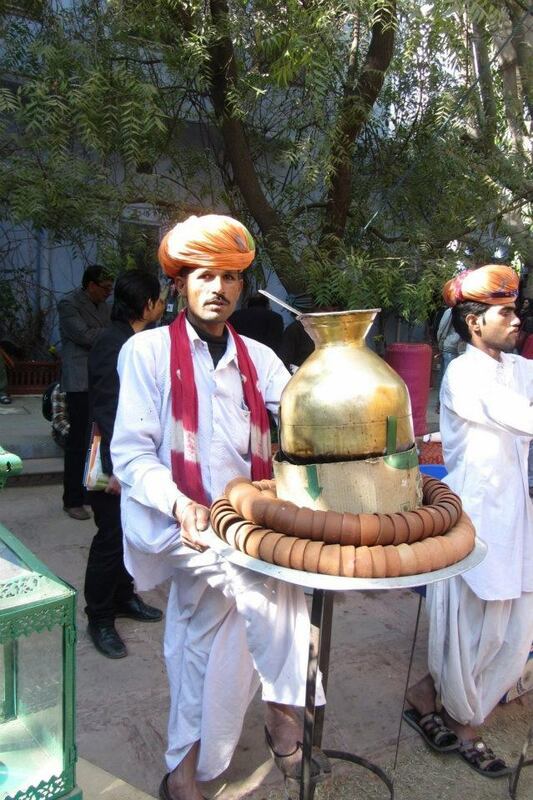 Lucky you to be a part of the event and be there to be enthralled by their artistic work. Very well written article Ruchira. Brings back lovely memories! @elvirah - Yes I was indeed lucky ! @Shail - I missed you there actually. You wld have loved it ! @Piya - Thank you ! We did have a marvelous time didnt we ! You know what! After following your status updates about the festival on FB, I have made up my mind. I am going to Jaipur next year. @Purba - you must go and enjoy it you will ! Wonderfully written with such lovely pictures. Makes me want to attend the festival next year.